Dr. Howard has had diverse experience in teaching, educational program development, and performance work. Her adult life has been dedicated to teaching, directing, and coaching. She has always thoroughly enjoyed educating, mentoring, coaching young and older students and clients. Dr. Howard has been committed to providing her students and clients with practical training and learning opportunities to enhance their marketability. She has developed a leading undergraduate communication, performance studies program at the University of Mary Hardin-Baylor. Her performance studies program at the University of Mary Hardin-Baylor has provided training in performance techniques for theater, television, radio, and long-distance communication. Dr. Howard’s students/alumni are serving in regional television studios, radio stations, and video/film production studios. Performance Studies students have regularly performed poetry for Texas Nafas, an Austin, TX television poetry program. Her college competitive speaking and performance of literature students have not only competed and brought home tournament trophies, but they serve regularly as regional judges for various competitions. Each of Dr. Howard’s Performance Studies students has researched, written, produced, and performed a one-person production of a great historic or contemporary character that has been performed on stage and/or taken to theaters, schools, libraries, museums, and churches. These performances of autobiography have been performed for television, radio, film, or distance, and live performance. Performance Studies students have frequently been paid for their regional performances and presentations for various organizations. Dr. Howard has developed curricula for more than twenty college, communication, performance studies, and theatre courses. She has designed, developed, and delivered educational research, curriculum development, and programs for BellNET, an educational videoconference network. She has developed presentations and provided distance, educational instruction for college students and for regional teachers and administrators. She has served as a reviewer of state grant applications for technology in education. Diane Howard has developed the film program in the College of Communication at the University of Mary Hardin-Baylor. Dr. Diane Howard (Director of Performance Studies in the Dept. of Communication and Media Studies in the College of Humanities) and Professor Donna Teel (Director of Computer Graphics Design in the Dept. of Business Information Technology and Systems in the College of Business) collaborated to design, produce, and supervise this program. Dr. Howard taught film performance and pre-production in film courses, such as Screenwriting and Acting for the Camera. She also produced many student films with her colleague, Professor Teel. The university film program has been guided by a redemptive, Christian fimmaking philosophy. Producing films to enlighten, serve, and to entertain, UMHB film students have produced dramatic films, documentaries, and public service commercials that are redemptive and inspirational. They have also worked together with area businesses and organizations to produce effective training videos. Regional independent filmmakers and university film alumni have assisted film faculty and students with production of redemptive and inspirational projects at the university and in Central Texas. University film students have also provided on-camera and voice-over talent for university commercials and other projects. Further, university film Students have been cast in feature movies and have performed alongside stars who have been Academy Award Nominees and Award-Winners in such films as Temple Grandin, Secondhand Lions, Spy Kids and others. Many of the film students have performed in the ongoing television series such as Friday Night Lights and My Generation. 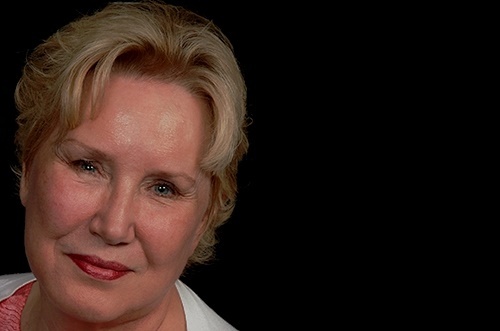 In recent years, Dr. Diane Howard has especially enjoyed coaching lead actors in appropriate dialects for movies such as Alone Yet Not Alone and Return to the Hiding Place. She has been attached as an on location dialogue acting coach for movies such as The Prodigal and Ruth. She is currently attached as on location dialect coach for The Long Run and Broken Wing. Further, she has coached leading actors over the telephone for dialect and dialogue work for a range of good movies.